I had the pleasure of screening the independent film, The Last Fall, last week in my hometown (Philly, PA) with an added bonus, Q & A with writer/director Matthew A. Cherry afterwards. The movie stars Lance Gross (Our Family Wedding, Meet the Browns) as a pro NFL player who finds himself cut from his team with NO prospects pending and facing retirement before the age of 30. Without spoiling the entire plot, I’ll summarize by saying this character was not a strategist, nor backup planner, and returns home to deal with his dilemma amid family and relationship drama. At the start of the film, a quote from Sports Illustrated is shared that reads “78% of football players are bankrupt, divorced or unemployed 2 years after leaving the game.” So it’s with this premise, and his real life experience as a retired NFL player, that Mr. Cherry realizes his goal of depicting a character that humanizes and portrays the dilemma in which an obscene amount of professional players find themselves, contrary to the much hyped money, power and glitz lifestyle most Americans believe them to live. Although Matthew has the inside track, and the movie has some semi-autobiographical elements, don’t get it twisted – he is by far a man who maps and outlines his next steps. He knew where he wanted to be career wise regarding the NFL. When that didn’t happen he retired and, although he had limited work experience, hustled his way to California, became a production assistant and the rest makes for really good short documentary material. His PA credits include shows such as Heroes, Girlfriends and The Game (and if you follow my blog you know I’m a fan of both the latter) and, noting that many directors got their starts doing music videos, he built a pretty impressive directing resume writing treatments and doing videos for the likes of Kindred the Family Soul, Jasmine Sullivan, Eric Roberson and Common just to name a few. The Last Fall, which is Matthew Cherry’s first directorial full length feature, also stars the very talented Nicole Beharie (American Violet and if you’re a The Good Wife fan like myself you may remember her character Imani Stonehouse from this past fall). The on-screen chemistry between the two leads was good, however I’d be remiss if I didn’t mention this AMAZING, ah hmm, let me compose myself… if I didn’t mention that there was this sensual and beautifully shot scene with Lance and Nicole that Mr. Cherry told me was nicknamed “the evolution of love” on set. I shared with him there would be a lot of “mini evolutions” springing up about 9 months after the film was viewed by many couples ;). Also co-starring and rounding out the cast are Darrin Dewitt Henson, and veteran actors Obba Babatunde, Vanessa Bell Calloway and the extremely underrated character actor Keith David. In addition to fine acting, the film quality was visually stunning, the script was written with interesting and relatable characters, and the soundtrack is a real winner (might be all that video experience at work 🙂 ). The Last Fall was chosen as an Official Selection for the 2012 South By Southwest (SXSW) film festival and distribution talks are in the works according to the director (he anticipates a possible Fall 2012 release). Be on the lookout for local screenings in your area and I will follow-up with info regarding the film’s national release when available. You can checkout a link below for the trailer and remember Support Independent Film! 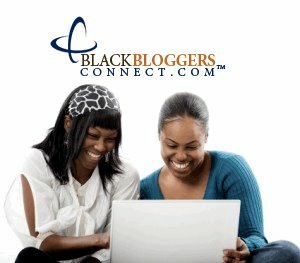 PS – for those in the Philadelphia area looking for a way to see more independent films, in addition to major studio film movie screenings, check out the group Reelblack at http://reelblack.com/wordpress/. I’m not into football, but enjoyed your review so much that I may want to see this movie.